A lot has happened in Congress on the health care front since we reviewed three different Republican plans to repeal and replace the Affordable Care Act here at Diabetes Flashpoints in January. In early March, House Speaker Paul Ryan introduced the American Health Care Act, a bill that would leave much of the framework of the Affordable Care Act in place while removing the link between income and subsidies used to buy insurance, letting insurance companies charge older Americans more in premiums, and reorganizing and cutting funding for Medicaid. Later that month, Ryan withdrew the bill just hours before a scheduled vote because it lacked the votes to pass. Then just last week, the bill was reintroduced with a few changes designed to win the support of certain House members who didn’t back the bill in its original form. As noted in an article at CNN, the new version would allow states to opt out of requiring that insurers cover people with pre-existing conditions without charging them more — meaning that people with expensive health conditions could end up paying much more for insurance. 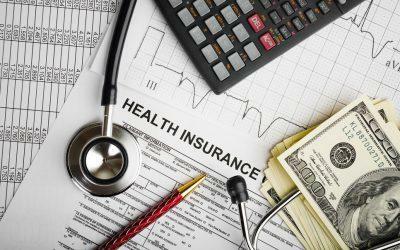 The bill would also allow states to opt out of requiring insurers to cover certain essential health benefits, which means that insurers could sell cheaper, stripped-down insurance that doesn’t cover certain conditions or areas of care. In a separate statement, JDRF emphasizes that Type 1 diabetes is an expensive condition to cover, which means that under the latest bill, many insurers could charge people with diabetes higher premiums or refuse to cover them altogether — sending them to high-risk pools set up by state governments that could feature premiums 150% to 200% higher than typical market rates. The statement also notes that battles with insurers based on pre-existing conditions were common for people with Type 1 diabetes before the Affordable Care Act went into effect, and that the group wants to avoid going back to these struggles for its members in the future. It encourages people to contact their member of Congress to express opposition to the bill. What’s your take on the latest version of the American Health Care Act — are you worried that it could affect your health insurance coverage? Do you think it’s a good idea to let insurance companies sell healthy people less comprehensive coverage, even if this means charging more for people with pre-existing conditions or those who want or need expensive health care covered? Would you buy a health insurance plan that didn’t cover certain areas of health care, like cancer treatments or rehabilitation care? Leave a comment below!